Some kind of late onset midlife crisis hit me in August 2008 and I went out and bought a two stroke. A trip down to Sutton, in Surrey, on DOT and this marvellous machine was loaded onto the trailer and bought back home. I gave the machine a jolly good test ride - to the WELSH COAST and back. The previous owner of this fine machine actually came back up this neck of the woods on April 19th, 2009, and bought the bike back for the same price. The damage had been done - I was bitten by the two stroke bug. 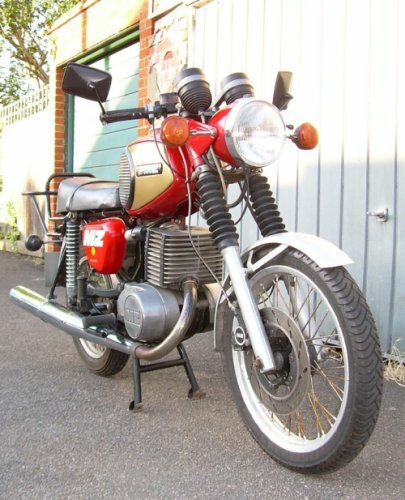 Before long I was the proud owner of another MZ - this time an ETZ, but that's another bike and another story.